BAGHDAD, July 4 (Reuters) - The Iraqi army retook Saddam Hussein's home village overnight, a symbolic and tactical victory in its push against Sunni insurgents that have seized swathes of the country. Backed by helicopter gunships and helped by Shi'ite Muslim volunteers, the army recaptured the village of Awja in an hour-long battle on Thursday night, according to state media, police and local inhabitants. Awja lies 8 km (5 miles) south of Tikrit, a city that remains in rebel hands since Islamic State, formerly the Islamic State in Iraq and the Levant (ISIL), launched a lightning assault across northern Iraq last month. The military spokesman of embattled Shi'ite Prime Minister Nuri al-Maliki said Awja had been "totally cleansed" and 30 militants killed, according to state television. A police source told Reuters three insurgents had been killed. 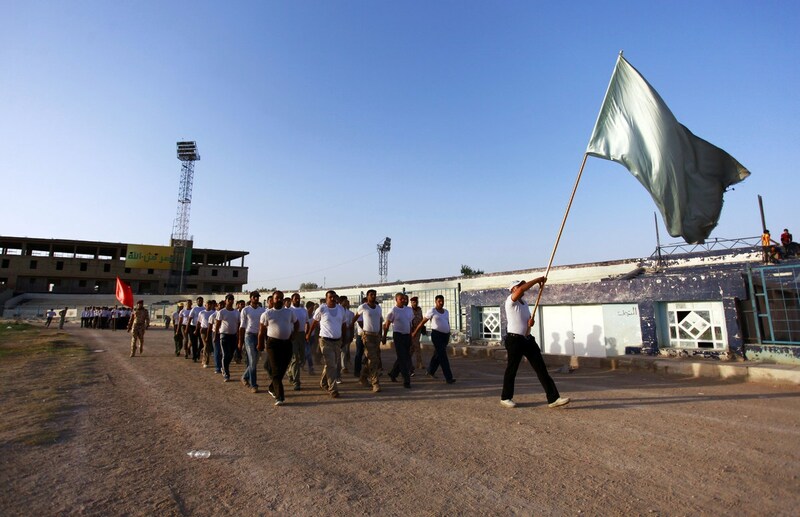 The birthplace of Saddam, Awja benefited hugely from the largesse of the Sunni dictator before his ousting by the U.S. invasion of 2003 and locals remained fiercely loyal to the man who would select his relatives from the area for top posts. Spokesman Qassim Atta said security forces had seized control of several government buildings, including a water treatment plant, but security sources and residents said militants were still holding Iraqi forces from entering Tikrit. The offensive to retake Tikrit began on June 28, but the army has still failed to retake the city which fell after the police and army imploded last month in the face of a militant onslaught that also captured Mosul and other major Sunni areas. But the mainly Sunni communities along this corridor remain hostile towards government forces and army convoys continue to come under guerrilla attack. Defense officials in the United States, which has deployed advisers to Iraq, believe the Iraqi army will be able to defend Baghdad but struggle to recapture lost territory, mainly because of logistical weaknesses. The onslaught by Islamic State, an al Qaeda splinter group that has declared a medieval-style Islamic caliphate erasing the borders of Iraq and Syria, and threatened to march on Baghdad, has left the Shi'ite-led government in disarray. Parliament was unable this week to pick a new government to unite the ethnically divided country, something the most senior Shi'ite cleric on Friday called a "regrettable failure". In a sermon delivered by his aide, Sistani Grand Ayatollah Ali al-Sistani called on politicians to avoid "mistakes of the past that have grave consequences for the future of the Iraqis." Sistani reiterated his call for the government to have "broad national acceptance", a formulation many officials interpret as a call for Maliki - blamed by Sunnis for marginalizing them and worsening ethnic tensions - to go. In the governing system set up after Saddam's fall, the prime minister has traditionally been Shi'ite, the speaker of parliament a Sunni and the largely ceremonial president a Kurd. None of the blocs has settled on a nominee. On June 13, Sistani called for Iraqis to take up arms against the insurgency - an unusually assertive declaration for the 83-year-old cleric, who favors a behind-the-scenes role. In the Friday sermon, he reiterated volunteer fighters should be organized through an official framework.